Build an effective dipole antenna that needs much less space by adding two loading coils. This online calculator tells you how. 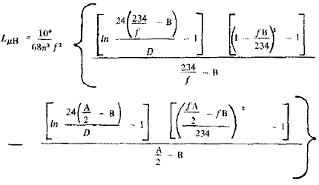 Open the dipole length calculator in a separate page. Open the wire gauge and diameter calculator in a separate page. 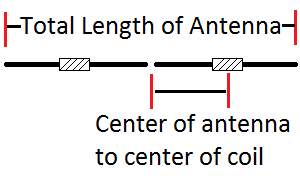 To calculate the length of a full-size dipole, use the Dipole Antenna Length Calculator.